Countries Most Active Voters Love Sports. Pundits have accused American voters of treating politics like a team sport — and they may be more right than they realize. In our analysis of how often one voted compared to their fandom, sports fans voted more frequently than non-sports fans nationwide. That wasn’t just a national average, it was a national phenomenon; non-sports fans were less politically-active than sports fans in 47 out of 50 states. This near-universal finding is more surprising given the nature of the survey. 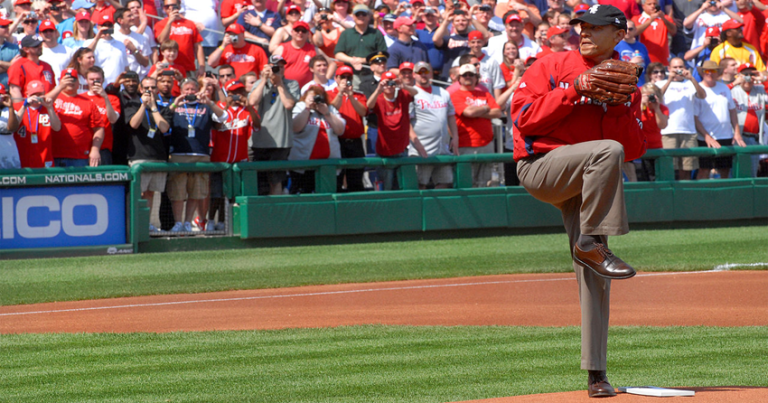 It set a high bar for classifying a voter as a fan of a sport, declaring 83% of voters as fans of no sports. To put that stringency in perspective, more than 103 million people watched Super Bowl 2018 on a down year. 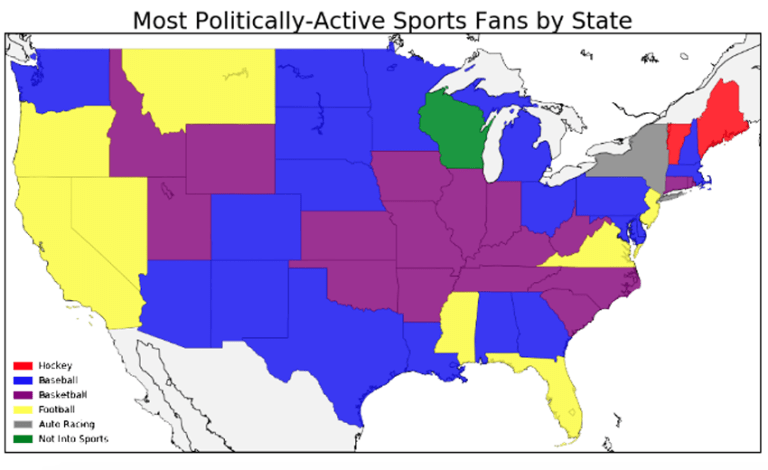 When we flip the question and ask about the most politically-active sports fans by state, the map looks more varied. 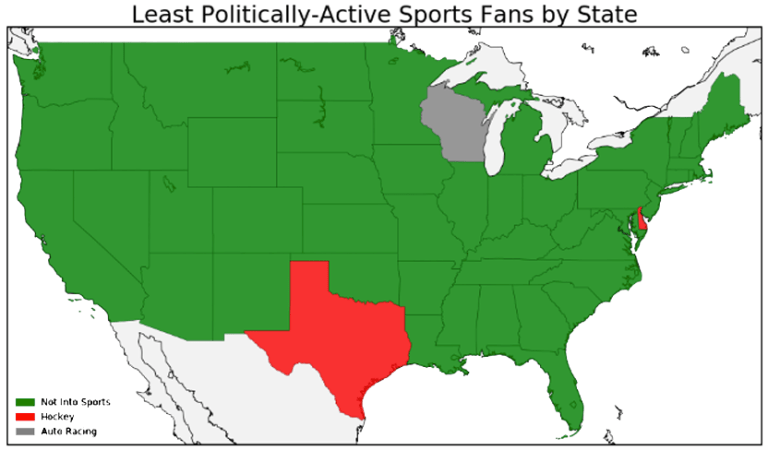 At 21 states, Baseball fans were the most active the most often, followed by Basketball at 17, Football at 8 and Hockey at 2. In general, fans of the most politically-active sport voted about five percent more often than the average voter — although that difference varied significantly by state. In Delaware, Football fans voted almost exactly as often as the average voter. In Wyoming, basketball fans voted more than 10 percent more often than the average voter. Sports appear to be less of a voter indicator in the Northeast. The region claimed six of the 10 states with the lowest difference between their average voter and their most active voter group (Delaware, New Jersey, Rhode Island, New York, Connecticut and Massachusetts). While it might be tempting to draw a partisan conclusion by those grouping of reliably-blue states, there are two reasons not to: 1.) The other four states in the bottom 10 are Wisconsin, Virginia, Texas and Kentucky — all of which are either purple or reliably red. 2.) In a separate analysis, we found no meaningful difference in partisan affiliations among sports fandoms, with the exception of Basketball and Auto Racing, which had Democratic and Republican tilts, respectively.